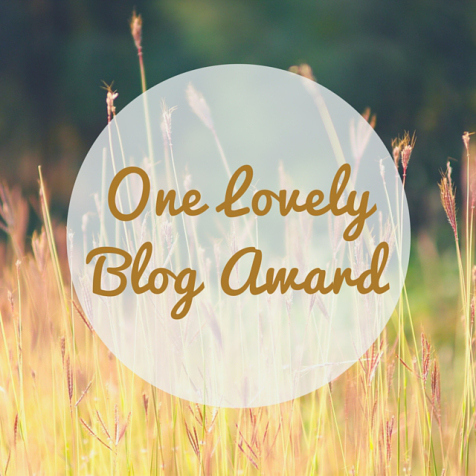 Lovely Blogger Award! – I'm Here; Right Here. I am so glad that you went through my blog and in no time made me feel deserving of this award. Thank you so much. I am a shopaholic as I already mentioned. Let me add more norms to it. I open up my browser. “flipkart, Ctrl+Enter”, then new tab “amazon, Ctrl+enter” and then “jabong, Ctrl+Enter”. I do my stuffs professionally. I decorate my almirah to find the things that I need exactly present there where I place my hand at first. I get angry too fast and calm down at an even faster pace. Only a promise for coffee does that. I want to learn driving. But, my Dearest Dad never lets me put my hands on the steering. I even promised him I won’t drink and drive. I mean coffee, coffee. But, still helpless me and clueless he. I want to become an Entrepreneur, a professional Footballer, An ardent writer. I am writing a novel. Yes. Shhh….. No one should no that. Am I being rude? Doesn’t matter. You continue. I would want to hear from you when I login the next time. Okay? All the best. Good luck. Keep blogging. Stay calm. Stay happy. Thank You so much for this nomination again. Yeah! I’m definitely getting engaged. I know what your concern it. I completely agree with you too. Yeah. That’s what happens when my Dearest Mom sees me after a couple of months or three when I go back to my hometown from college. I laughed so hard at number 4! 😀 What are you, really? Hah. And hey, Congratulations for finding the wifey so soon! Tell her she’s gonna be a coffee machine in near future. Lol. Just kidding. 😀 Sarcasm aside, tell her she’s found a nice person. Good luck, qurbani kay bakray 🙂 Oh damn, did I just write something sarcastic again? Never mind. I am a writer who likes coffee as the only next thing to get gripped into his fingers other than a red pen. I’ll congratulate her from your side. Well! She won’t be a coffee machine. Congrats Ahmad!! Aaj feed main khaali tumhaari hi awards. Talented? Me? LEH, as we Punjabis say!! Thank you for your kind words!! You deserved this, and the plethora of awards you’ve received! That’s your generosity and nothing else. You’re getting interesting day by day.